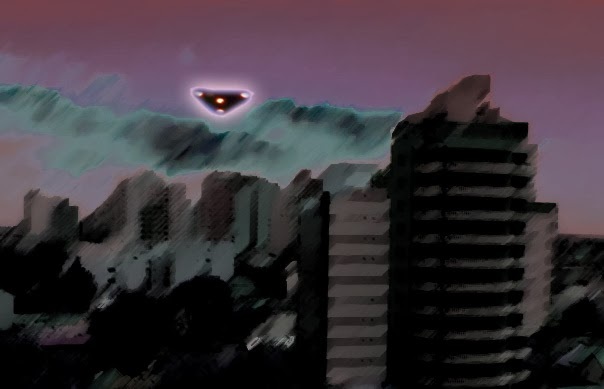 Inexplicata-The Journal of Hispanic Ufology: Argentina: Possible Boomerang-Shaped UFO and Explosion? Argentina: Possible Boomerang-Shaped UFO and Explosion? On the evening of Monday, November 3 of this year, five members of the Villamea family, members of the FAO in Quilmes, observed from different positions the transit of a boomerang-shaped object from north to south, making no noise whatsoever and with three lights arranged in its lower section. The time was 22:15 hours. Forty-five minutes later, a bizarre explosion made itself heard over various districts of the city of La Plata, covering a broad area with hundreds of witnesses. The local newspaper EL DIA picked up all local remarks. Most people claimed to have heard a loud detonation...others saw flashes...and still others reported the sudden appearance of a strong wind. The Civil Defense, the Naval Prefecture and the Police claim to ignore the causes. The Astronomical Observatory also dismissed the possibility of a meteorite impact, while any connection with the phenomenon was dismissed by the YPF refinery and ENARSA, which is building an electric plant in Ensenada. CEAMSE, which is on the way to the Punta Lara beach, also dismissed the possibility of an explosion caused by an accumulation of gas. In short, "they all washed their hands." The fact is that the mystery is ongoing. 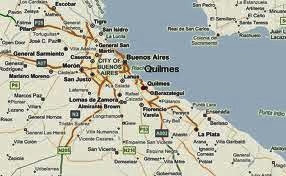 It is evident that little more than 30 kilometers link the cities of Quilmes and La Plata, and the difference in minutes between the boomerang-shaped object and the explosion make both episodes related in one way or another. If we discard the launching of a missile, a fall of space junk, and a meteorite, this would lend credence to the passing or disintegration of an unknown body as the cause of the loud report. If it was a UFO, regardless of its origin, whether manmade or ET...did it disintegrate at high altitude? Or did its passing over the skies of Buenos Aires shatter the sound barrier and caused what everyone heard? Similar events have already occurred in our country and nothing is strange in the light of these events. For that reason, we are still investigating. If you are aware of any similar episode last Monday night, we are grateful for your input. This is a hard task and it is done between us all, like any UFO investigation. The Air Force and Los Piñones? They're doing fine, thanks.